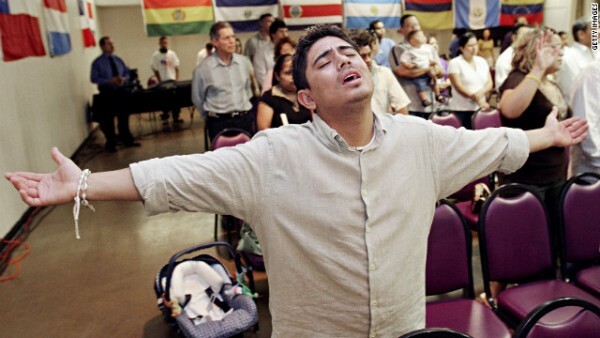 As the push for comprehensive immigration reform (CIR) geared up at the beginning of 2013, the mainstream media began incorrectly reporting evangelical support, as if this was new. Perhaps for white Christians. But many in the Hispanic religious community for years have been advocating for reform. Why? Because these pastors have witnessed the devastating effect of policies such as separation of families on members of their congregations. In this week's SLIDESHOW: The Faces of the Great Immigration Debate, prompted by Holy Week, we examine through photographs Latino evangelical and voter mobilization around this topic--equally rallying against the skyrocketing deportations on President Obama's watch and repudiating his Republican challenger Mitt Romney for promoting "self-deportation." The day after the election, America woke up to face a newly formed and emboldened voting bloc with the power and potential to alter our political, business, and social landscape. Click below to watch SLIDESHOW: The Faces of the Great Immigration Debate: Holy Week Reflection on Latino Evangelicals. Click here to view other posts in the ongoing Great Immigration Debate slideshow series. How does faith inform your politics?